It has been a while since the world-famous protector of the Mushroom Kingdom, Mario, and his brother, Luigi, have thwarted the plans of the nefarious King Bowser Koopa in taking over the Mushroom Kingdom. The kingdom's denizens and its ruler, Princess Peach Toadstool, breathe a sigh of relief as the Mushroom World quiets down from its ongoing war against the Koopas. As long as malicious hearts exist, however, peace will always be short-lived. On a seemingly regular night in the Mushroom Kingdom, Princess Peach and Mario converse with each other among the beautiful starlit sky. Suddenly, a huge comet crashes down with a mighty force, and several, sparkling crystal debris scattered throughout the land. At first, neither Mario nor the Princess could make anything out of what occurred, until an excited Toad caretaker rushes in on their meeting with some exciting news. According to legend, a giant comet known as the Miracle Orb will scatter several crystal balls upon crash-landing, and anyone who finds the crystals and revives the Miracle Orb will be granted a wish. Intrigued by the legend, Princess Peach asks Mario to collect these crystals for her. Mario accepts his new task, and after enlisting the help of his brother, Luigi, the Mario Bros. set off to retrieve the crystal balls. Unfortunately, the legend of the Miracle Orb was no longer a secret between Peach and the Mario Brothers. One of Bowser's spies reported the news to the Koopa King, and now he has unleashed his legion of monsters across the Mushroom Kingdom in search of the crystals. Mario's quest is about to get tougher from here on. 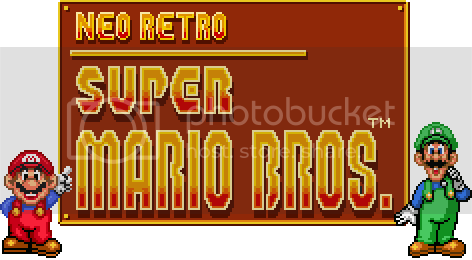 Neo Retro Super Mario Bros. is a Mario Bros. fan game with a classic flare, developed in SMBX. Jump, duck, and bounce through 33 levels to retrieve the crystal balls and foil the plans of King Bowser Koopa! The full version of the game will come with two downloads: One with SMBX and one without. There are no gameplay differences between the two, but the SMBX version will be useful for those who do not have the program. Otherwise, extract the folder in the upcoming download into your "worlds" folder in SMBX, just like any other episode. The Makerscore I'll get for this: ??? So, yay! I finally completed my first Super Mario Bros. X Episode after... 2 or so years? Most of that time was spent in frustration figuring out how to do things like cutscenes in SMBX. On the plus side, leaving this project in hiatus for such a long time allowed me to re-evaluate my methods and determine what this game ultimately needs. So here it is. Lakitu just wants to say hi. There is one coin heaven in every even-numbered world. Can you find them all? I used both of those in this project, thanks for sharing! In some levels I would use the retro ground tiles entirely, depending on the theme of the level. That said, I don't want to mixmatch themes by throwing in a yoshi island level, for instance. There are some perks, though. 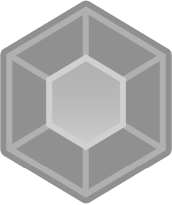 The Ice Flower and the Super Leaf will be available as powerups, and there are some athletic levels that auto-scroll similar to SMB3 (even one based on the airship/tank levels), so you won't be left disappointed (I hope!). subscribed! defiantly going to download this when it gets done! You should let me make you a World 9. I'll be waiting to play this when it comes out! Hurry this up you lazy bum. I managed to play a little bit of this tonight just before bed; got to around World 6-3 before I decided that I was done for the evening until either tomorrow or Tuesday when I finish the game and finish writing the review off for this bad boy. So far so good. The levels are nice and simple and are pretty short to navigate through, which is a nice change of pace, especially after playing some of the more drawn out levels like in Super Talking Time Bros. 2.5 – The Last Levels and Super RMN World. The difficulty is just about right, with the only real challenging ones that took me a few tries to beat were probably World 3-3, 3-4 and 5-3 – but so far so good. You definitely have captured some of the classic level design from the original Super Mario Bros. games - and I’m definitely having a good time so far. Here’s hoping that the last couple of levels end off with a bang! Thanks, Addit! That sounds like the auto-scrolling levels that are the most difficult.